Expression Events can provide Acoustic Consultation work for a variety of applications - From Noise propagation for Housing to Noise control for live events. We Can help where noise has become a problem following a change of use or where new sound equipment has been installed. Our Experienced team can offer everything from simple advice on staying within the current guidelines, to a full sound insulation installation to keep your venue legal and operational. Poor room acoustics from excessive reverb, reflection and resonance can degrade ambience, creating oppressive environments and significantly reducing speech intelligibility, resulting in mis-communication. We can help you through sound testing, and the implementation of noise control measures. We conduct sound insulation testing in accordance with Building regulations part E. Through onsite sound testing, measurement, analysis, and calculation, we can assess the insulation of your building. We also offer free noise control advice. 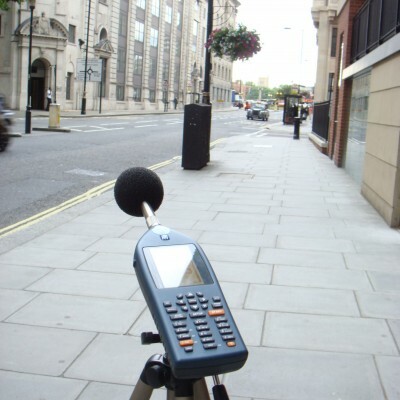 Noise pollution is now taken very seriously and noise surveys (or noise assessments) are requested more frequently. They are important to determine the impact of noise from transport, commerce or industry, at residential dwellings and used to calculate mitigation measures to ensure successful co-habitation.